Snow crowned pinnacles, spires, and towers formed from Mesozoic mineral rule over expansive green fields sprinkled with wildflowers, and quaint cuckoo clock-esque chalets line the village streets of one of the most beautiful landscapes in Italy: the Italian Alps. 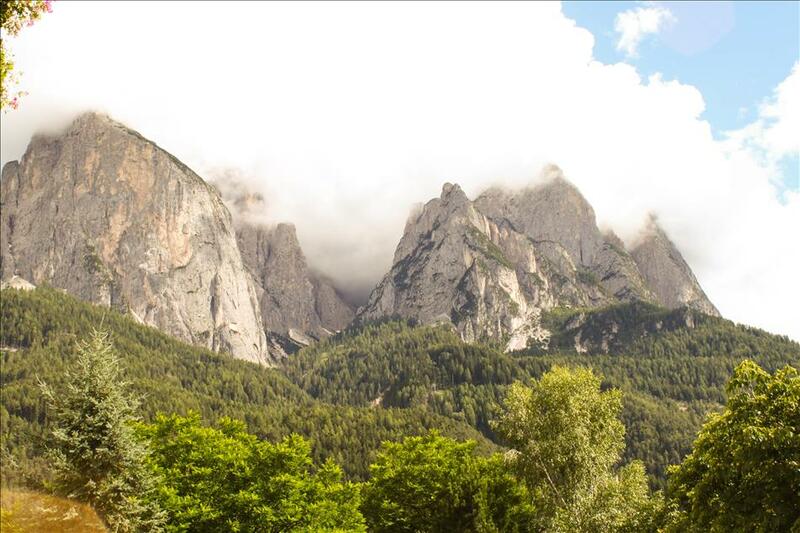 The section of famous Alpine peaks that comprise the Dolomites are a UNESCO World Heritage site for their geological significance, not to mention some of the most attractive mountains in the world. Germany meets Italy in Siusi allo Sciliar village at the foot of the peaks where German is the dominant language but pizzerias are still plentiful. A stay in this Alpine haven can be the relaxing getaway of a lifetime, offering a city-break like no other. On the agenda are leisurely strolls through the countryside, watching the sun ignite the mountains at sunset, and sipping cocoa in a mountain lodge. 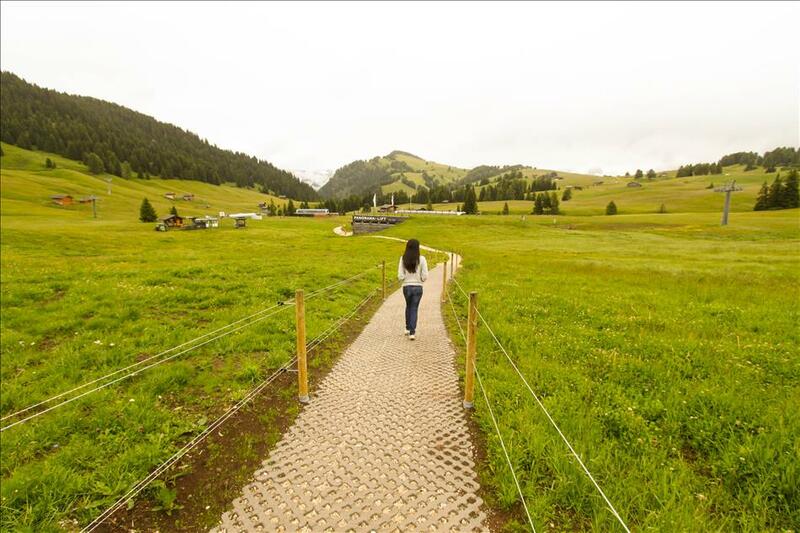 Walking through the village and breathing the crisp crystalline air of the countryside is like stepping into the set of the sound of music. Something about being surrounded by so much perfect green is song inducing. Melodies well up in the throat and can only be kept at bay with a mug of something hot and delicious. Every now and then mountain life manifests itself and a wooden lodge or a cow grazing on the sea of grass completes the scene. 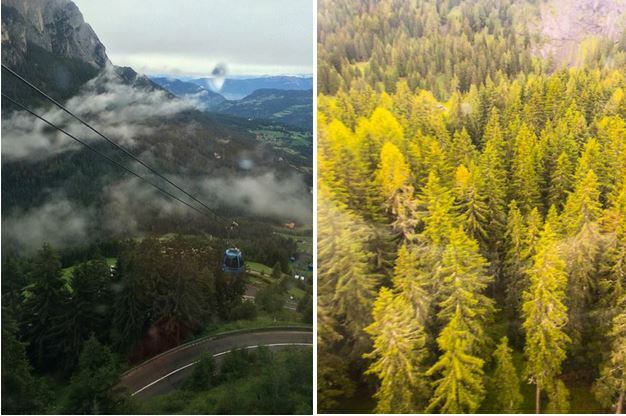 To get closer to the mountains, taking the gondola lift is an amazing way to survey the landscape without strapping on a pair of hiking boots. 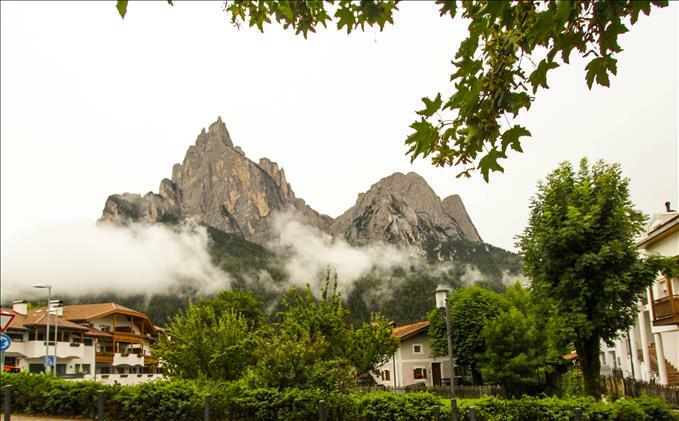 The virtually clear capsules offer an unforgettable bird’s eye view of the landscape from the pointed tops of evergreen pines to the rocky slopes of the Dolomites and all the pristine dairy pastures in between. 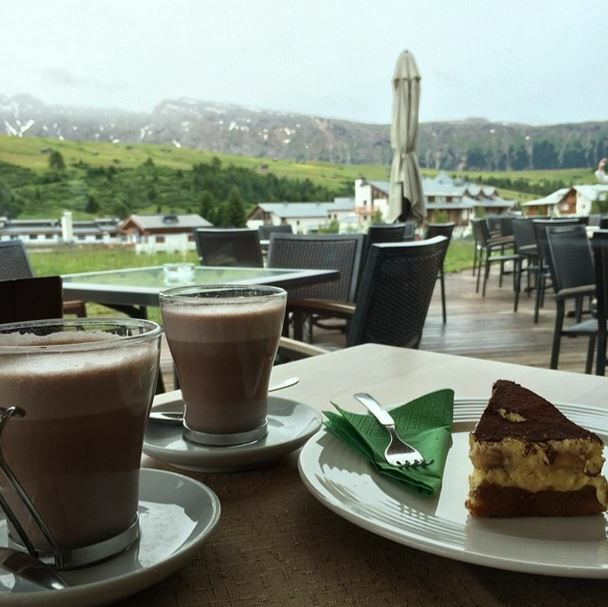 At the end of the cable climb hot cocoa awaits at one of the local cafes along with paths to walk through the grassy fields, or more gondolas venturing up to the ski resorts. In the evening sunset watching from the comfort of a chalet is the picture of relaxation as the sun turns the mountains into a canvas of color and paints the stone shades of orange, pink, and gold. Unlike the majority of Italy where summer is the high season for tourism, here, winter draws skiing tourists making summer is an especially relaxing time to find oneself in the mountains and out of the crowds. My three day getaway here was the ultimate in serene, on my checklist for next time are the exhilarating mountain hikes!